Clarkson said the Madjedbebe rock shelter where the artefacts were found – which has been excavated four times since the 1970s – had been controversial in the past, but the processes used to date the artefacts meant the team could say “precisely” that the area was occupied 65,000 years ago and “hopefully put the controversy to rest”. The findings also suggested people crossed over from south Asia at a time that was cooler and wetter, with lower sea levels allowing easier sea crossings. 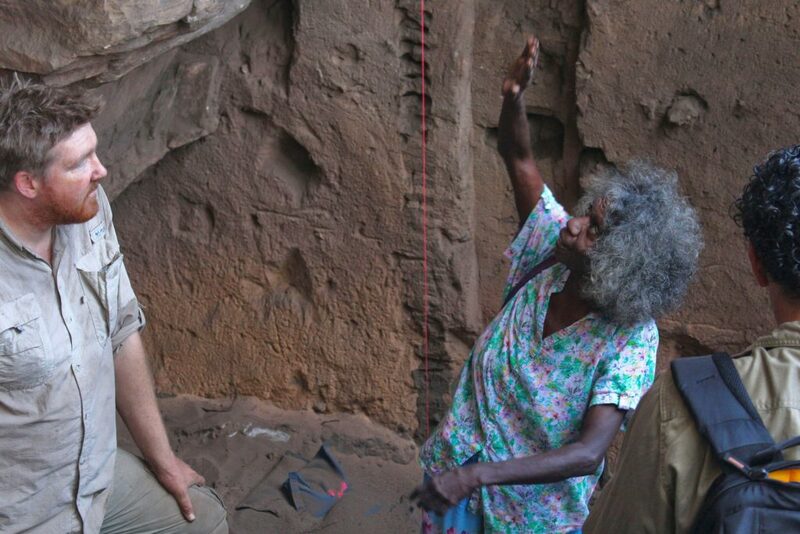 The significant trove of thousands of artefacts was buried in 2.6 metres of sand and sediment on the western edge of the Arnhem Land plateau. The site at Madjedbebe is on the traditional lands of the Mirarr people, but currently within the confines of the Jabiluka uranium mining lease, and surrounded by the 20,000 hectares of the heritage-listed Kakadu. 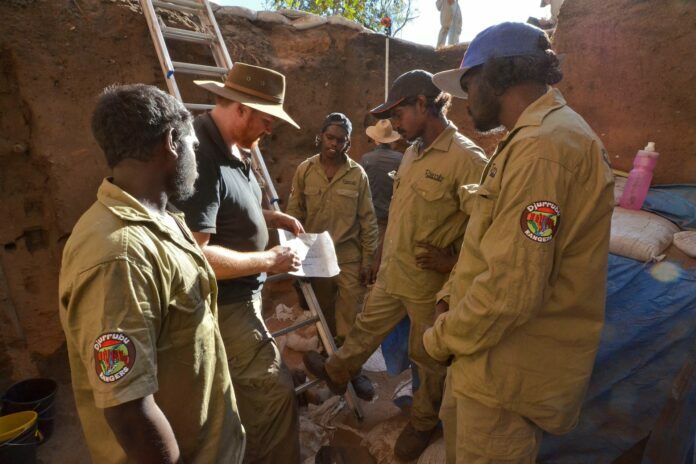 Much of the success of the five-year-long project is credited to a unique and benchmark-setting agreement between the researchers and the Mirarr, who retained total control over the dig and the artefacts. 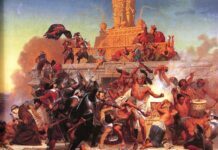 The discovery adds western scientific evidence to Indigenous cultural knowledge about the length of time their ancestors have occupied the land. “We’d like to tell people we were here long enough – tell all the Balanda [non-Indigenous people] about the stories, that people were here a long time,” Mirarr traditional owner May Nango said. More than 10,000 artefacts were uncovered in the “zone of first occupation”, including ochre and reflective paint substances, as well as the oldest unbroken ground-edge stone axes in the world, by about 20,000 years, and the oldest known seed-grinding tools in Australia. “What we found was it’s not just one kind of hatchet head we’ve got, but four or five quite different kinds,” said professor Richard Fullagar from the University of Wollongong. Fullagar also said there were significant consistencies in the discovered technologies, throughout the timeframe. In the deepest levels of sediment, some artefacts were estimated to be about 80,000 years old – or at least 95% likely to be older than 70,000, the report noted. This did not necessarily indicate occupation, and there was some chance artefacts had shifted in the movement of the earth. However the layer of earth at 65,000 years was found to be a dense occupation layer, with multiple experiments finding no suggestion the earth had shifted. Next articleSitchin Corroborated by Science Once Again?